Remember the Gibson Dark Fire Guitar we covered a while back? Well the company is back with its latest "world's most advanced guitar." The Gibson Dusk Tiger Guitar ($4,150) features a Les Paul-like body, but with a flat top, tone-chambered back, magnetic and piezo pickups for traditional and more "acoustic" guitar tones, separate outputs for each string for crazy effects, a multichannel FireWire interface with Ableton Live 8 and Guitar Rig 4 Pro for even more sound processing possibilities, 18 user-programmable alternate tunings with third-generation Robot Tuning Technology, and an exotic hardwood body that looks every bit as good as it sounds. If you want to get your mitts on one, you'd better hurry: only 1,000 Dusk Tigers will be produced. If you're sick of back-breaking broom and mop work, but still to need to get your floor clean before the parental units arrive for the holidays, get your hands on a Mint Robo Hard Floor Cleaner ($200). This minuscule, rectangular robotic helper can either mop or sweep your hardwood, tile, or laminate floors using microfiber cloths, and is small enough to fit underneath many pieces of furniture. It employs advanced NorthStar Navigation to learn the layout of the room, ensuring that it doesn't miss a single spot. We've been using one around the house for the last month, and it's saved us at least 3-4 hours of work — which is more time you can devote to important stuff like spending time with your family, fixing that leaky sink, or adjusting your fantasy football lineup. Are your floors nasty? Win one of these robotic housekeepers from Uncrate. 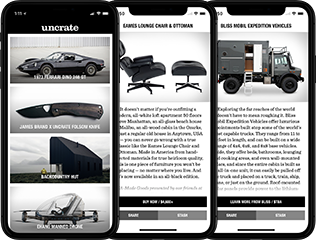 To win it, just make sure you've Liked Uncrate on Facebook and we'll choose one of you dirty gentleman at random. 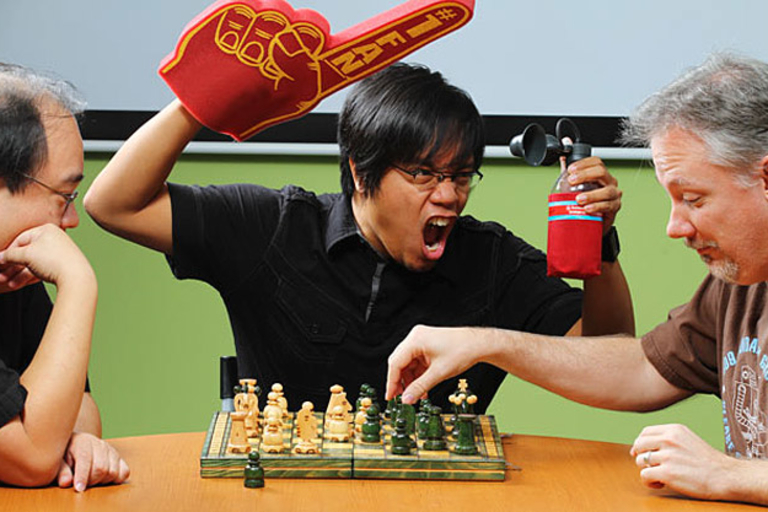 If you'd have asked us what product would go eco-friendly next, we sure as hell wouldn't have said the air horn. Yet here we are, talking about the Eco-Blast Refillable Air Horn ($30), a handheld ear drum popper that runs off compressed air you push into the canister using an included pump, meaning it'll never run out when you're cheering on your favorite team, drunkenly trying to scare away trick-or-treaters, or, apparently, annoying people at chess matches. Have you heard that your average phone carries 18 times more bacteria than a flush handle in a typical men's restroom? 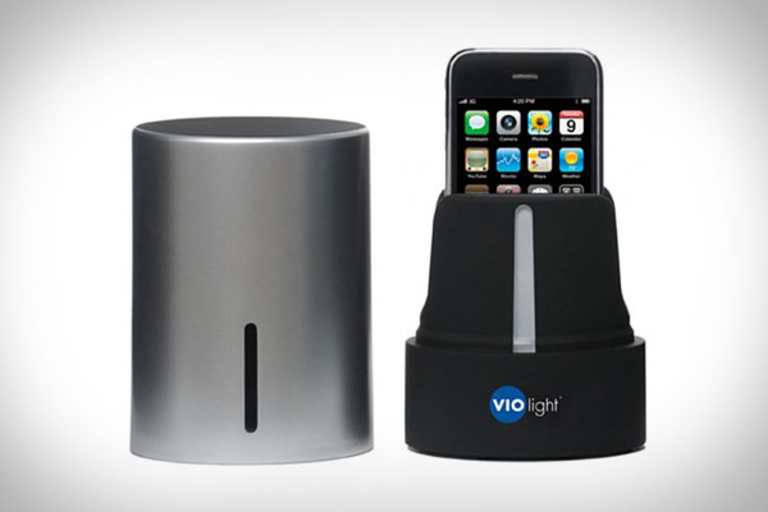 We have, and that's why we're dropping our iPhones into a Violight UV Cellphone Sanitizer ($50). This health-saving device uses germicidal UV light to destroy up to 99.9% of all surface bacteria hanging out on your handset, without any warranty-voiding solutions, sprays, or wipes. As for getting rid of software-based bugs, you're on your own. Looking for some more Back to the Future II memorabilia to go with that sweet Hoverboard you've got hanging outside your home theater? Get out your checkbook and get ready to bid on some Marty McFly 2015 Gear. Highlights include a Nike Mag Self-Lacing Shoe ($12,000 - $15,000) and the one — and only — Resizing "Future" Jacket ($25,000 - $50,000), both of which were worn in the film. If that isn't enough to satisfy your sci-fi appetite, there's also a Map of Hill Valley from BTTF III, and for our naughtier readers, a 28-page, real-life copy of Oh LàLà. The LaCie MosKeyto redefines portable. The ultra-tiny Mac/Windows-compatible USB 2.0 flash drive, which you can just keep plugged in all the time, measures less than 20mm and weighs 10 grams. Available in 2GB ($15), 4GB ($18), 8GB ($28) and 16GB ($50) capacities. Have a need to carry an entire 12-pack into the backyard battle? Forget the big-pocketed cargo shorts and grab yourself a Hops Holster ($30). 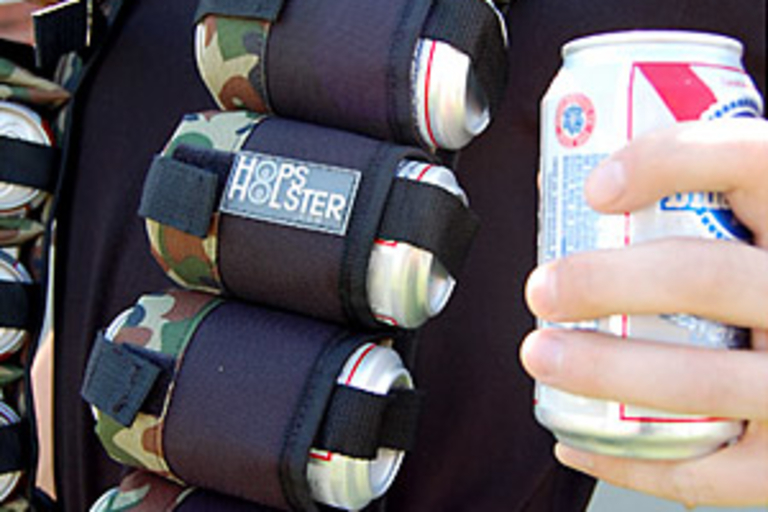 This tactical drinking apparatus lets you carry 12 beers, Rambo-style, on your torso. Because you can never have enough PBR on hand.